Recipe: beef stew aka “stoverij”. 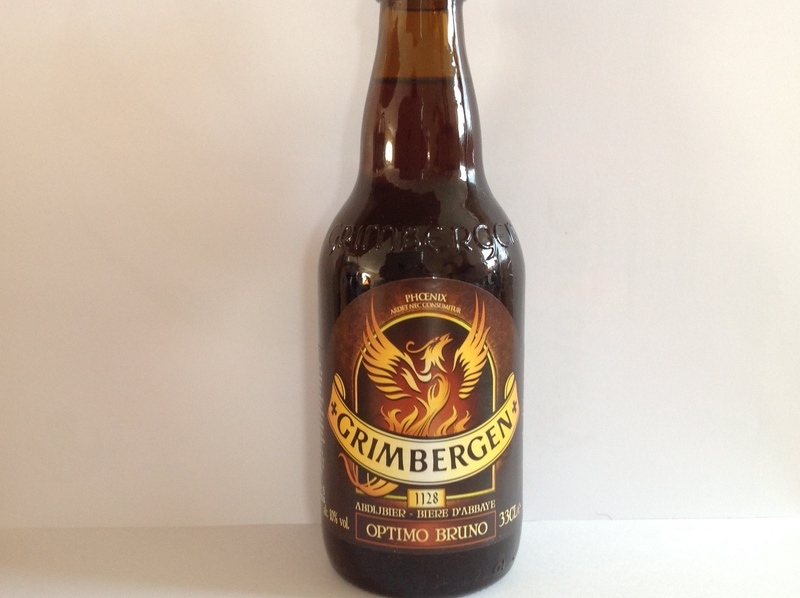 Secret weapon number 1: use the correct beer!For the classic “stoverij”, I use Grimbergen Optimo Bruno. I’ve tried and tested several other beers, but for me, this one works best. Secret weapon numer 2: use the correct cooking pot. 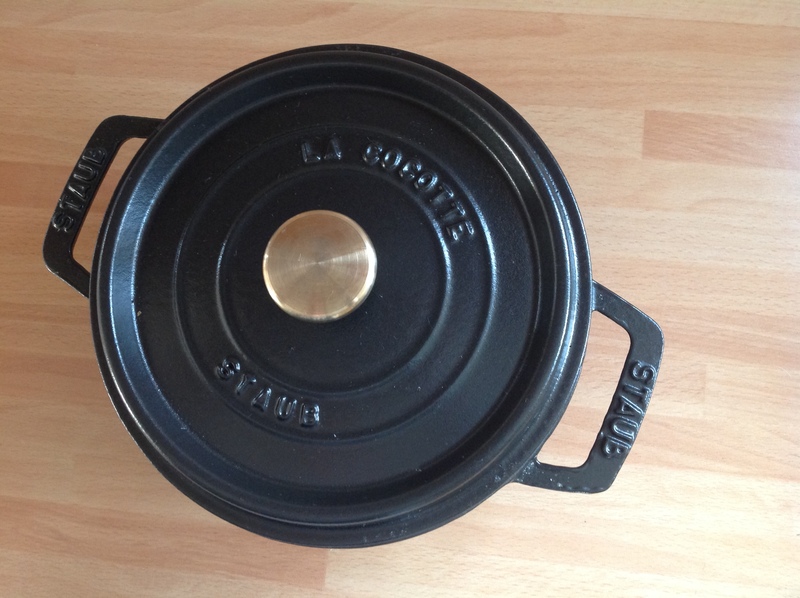 Whenever I make stews, I always use my Staub. I’m told they are quite expensive, but if you’re lucky like I am, your mom will buy them for you because she wants to pass on the cooking legacy the family is known for. Therefore, you need several Staub pots. Trust me, you’ll never want anything else. So, you’ve acquired your own secret weapons? You’re ready to give it a go? One more thing before you start: your “stoverij” will require about 3 hours to stew … so either get up early in the morning or prepare your stew the evening before for an ever more infused flavor. Stew your onions into some butter in the Staub until soft. Remove and set aside. In the same Staub melt some butter and fry the cubes of beef well on all 4 sides. Season with the spices or salt, pepper and the cube. At the end of this process, sift the flour over the meat and make sure it’s well distributed over each piece. Add the onions and gently pour the beer over the meat. Let is stew for several hours on a (very) low heat until the meat is cooked and the sauce is reduced. If necessary, add some water if the taste it a bit too heavy for your liking and let it reduce again. Serve with freshly cut fries and apple sauce (the one with the chunks in it!) or some salad. ENJOY! And let me know how it went and what your tastebuds have told you! Someone on twitter also added something sweet to put in the sauce. I’ll give it a go! Also a good choice, but as you might know, in Belgium we’re addicted to fries. We have the best ones in the world by the way 😉 I’ll do a post about how to make the best ones, how does that sound? I love the idea of beef stew with beer! Though I have to ask, when you say fine quality beef, are you referring to good quality secondary cuts, from the shoulder or rum? Or do you use expensive primary cuts such as tenderloin or ribeye? Thanks for post, it looks delicious!! Thanks for the lovely comment! In Belgium, we do love our beer and we tend to cook with it too. The alcohol evaporates anyway and it leaves a deeper taste to your sauce and meat. Tenderloin is for sure something you could use! The meat needs to be devoid of fatty pieces, it’s got to be red cubes of meat. No fat, no nerves, no nothing. 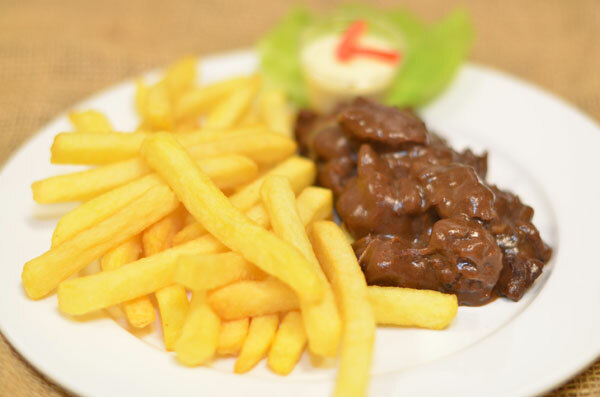 If paired with the perfect Belgian fries, it’s a great Sunday lunch recipe! Let me know how it worked out and good luck! By the way, cow meat works best. Pork is ok too, but cow is the best. Or game meat! It works great for that too!